Courtney was born in San Francisco, California, but quickly made it Texas where she was raised in the Fort Worth area. 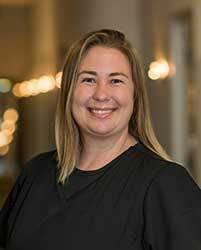 After a recent stint in Oregon, where she was the billing specialist for multiple practices, Texas State Optical convinced her to bring her expertise back to Texas and join our family in December 2017. She is a certified Optometric billing specialist and will be happy to answer any insurance questions patients might have. Courtney has specifically been in the billing field for almost 5 years. She prides herself in making sure claims get filed correctly and any questions/concerns get answered in a timely manner. She’s been married for 9 years and has a 3 year old son. When she’s not at her computer, you’ll find Courtney on a four wheeler or some other adventure with her family.